As seen during "combative" (aka hand-to-hand combat) training exercises. 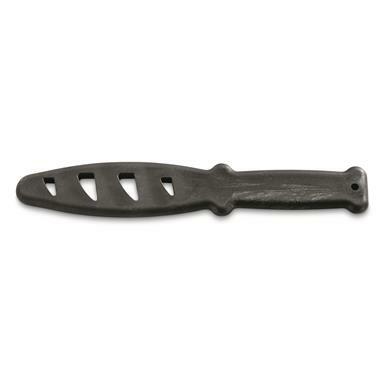 This Practice Knife handles similarly to a real Knife, without the sharp metal blade. Makes for an interesting collectable, or keep around for the next time you want to practice your Krav Maga. High-density polymer is pretty tough, so be careful around other people. U.S. Military Surplus Training Knife, New is rated 5.0 out of 5 by 1.